What is the customer problem? And Koiki’s solution? 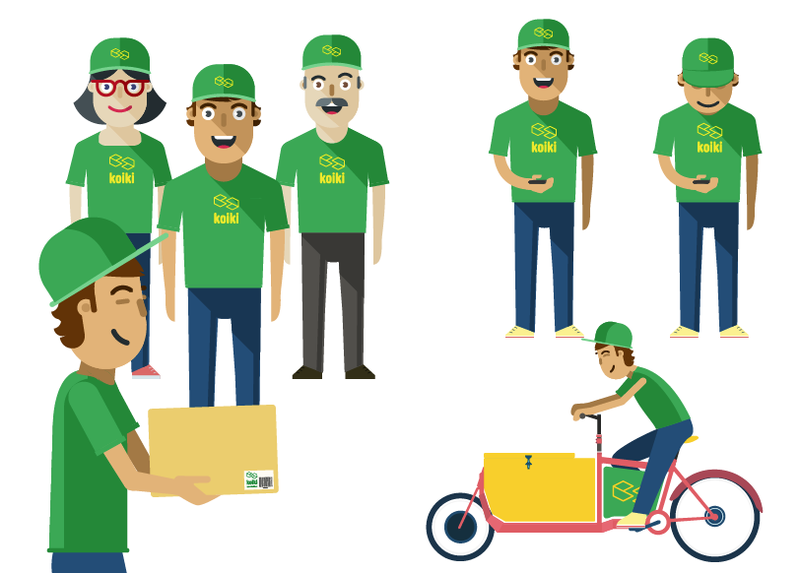 Koiki’s business model addresses the problem of receiving and sending parcels from/to your home. Usually consumers are upset because they don’t know the time at which the parcel company will arrive at their homes. If they buy several items on-line, usually different parcel companies will arrive at their home at different times. To resolve this problem we have created the Koikis who are people who live near you and have time to deliver and pick up parcels to their neighbors. Our Koikis use a Web Mobile system to deliver and pick up parcels or letters at the exact time specified by the final consumer. I.- Pollution and congestion in urban areas are partially fuelled (“nunca mejor dicho”) by delivery vehicles from parcel companies. A delivery vehicle runs every day an average of 210 kms and delivers 80 parcels. As a delivery ligh truck releases 0,29 kg/CO2 per km, the impact to the environment is 0,76 kg CO2 per parcel. II.- Unemployment within the disabled communities is a huge problem in Europe in general and in Spain in particular. Our videos in our home page state our service from the consumer’s and Koiki’s point of view. We invite you to have a look. Our vision is a sustainable world where environmental and social concerns are taken into account in our day to day activities. Our Koikis deliver either walking or biking and in Koiki’s deployment we are giving preference to disabled communities. Tallers Bellvitge: http://www.tallersbellvitge.com/es/ in Hospitalet de Llobregat (Barcelona). These organizations use their members and their facilities in order to deliver and pick up parcels within their neighborhoods. We at Koiki feel very proud and inspired by people within these organizations. From the boys and girls with some kind of disability to their professional and motivated managers. All of them give us strength on our day to day activities. Who is the team and what relevant previous experience do we have? Founder Aitor Ojanguren, Entrepreneur, Engineer, MBA, sold successfully its previous Company Celeritas to French multinational Group Lagardère. Jose Andrés Aliste, IT Manager, with large experience in IT Departments in several Transport and Logistic companies, built successfully Celeritas IT System. Cristina Arganda, Pedagogue, with over 8 years’ experience within the Social Sector. Where does Koiki idea come from? Aitor Ojanguren founded Celeritas (www.puntoceleritas) in 2006 as a copycat of Kiala (www.kiala.com) which allow on-line consumers to search for their parcel in corner shops near to their homes. Only one out of ten parcels are delivered this way. And those who choose this way, they do so because they don’t have a practical alternative to receive their parcels at their homes. Actually many people use their neighbors or members from their families to receive their parcels instead. This way Koiki’s idea was born. We facilitate people to deliver and pick up parcels to their neighbors. What is the market size globally? Huge. Just the e-logistics sector turnover in Spain is approximately 850 MM€ of which parcel home delivery accounts for 20%. UK and Germany are 4 times bigger, and France 2 times bigger than Spain. If we considered the Postal Sector, the market size goes over 1.000 MM € in Spain. KOIKI is scalable to any European city with congestion, pollution and social concerns. Potential customers are any on-line retailer, parcel company or final consumer that buys on-line or receive/sends parcels or letters to or from his home. E-commerce is increasing 20% year in Spain and over 10% in the biggest European markets. Where will be Koiki in 3 years time? We expect to have 1.200 persons working as Koikis all over Spain of which 50% of them coming from the disabled communities. We will also have founding enough to expand internationally in Europe. What is the CO2 Savings Scorecard? 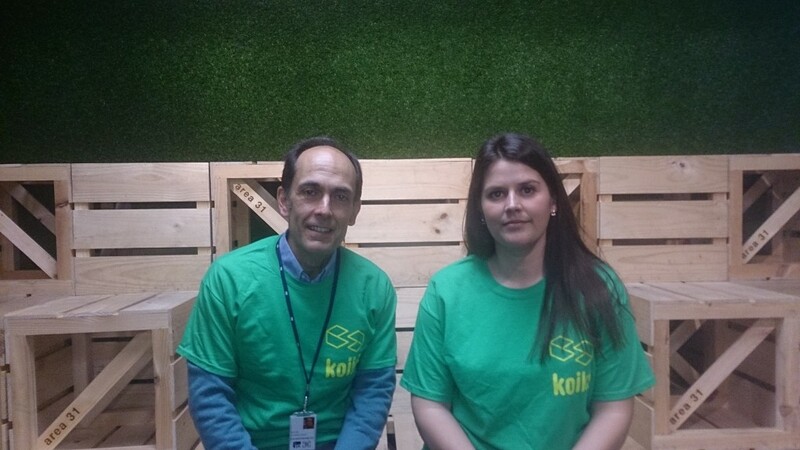 Any Koiki user (final consumer, Koiki, parcel company or E-retailer) will have a CO2 Savings scorecard assigned. Whenever they use our service they will have CO2 points allocated in their scorecards: an average of 0,47 kg-CO2 per parcel delivered or picked up. They will use their scorecards in order to vote for Social or Environmental projects in their neighborhoods, councils or cities. How has Area 31 and IE helped Koiki? In many ways… from better rates from suppliers like Amazon, Paypal,…. to visibility thru their Venture days and networking. We also find the weekly planned lectures and conferences on different subjects very useful. Just being in the co-working space and talking with other start-ups helps you more than you can initially might think. I cannot imagine any start-up not going thru an accelerator or similar programs. Area 31 within the IE is one of the best in Spain and in Europe. Congratulations to Area 31 team! !